i really am trying to take more iPhone pics... we recently upgraded our phones & the camera on this one is soooo much better & i really should be taking advantage of that. so i'm gonna try! here's what the last week looked like through the lens of my iPhone. 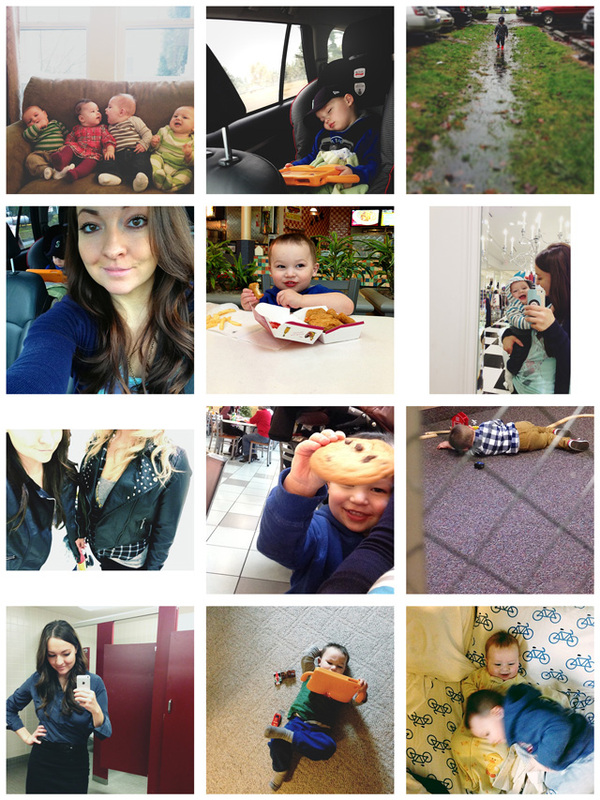 bloggy friend playdates, ginormous mud puddle running, mall date with friends, peeking at parker in nursery (looks more like prison), a bathroom selfie, a 2.5 year old who looks waaaay too much like a teenager & brotherly wrestles. I forgot to tell you on Sunday I loved your shirt. I was thinking it...just never said it out loud! :) Also, tell Parker thank you for making me want a chocolate chip cookie now. Puddle pictures too cute! And you look great! Whatever you're doing is working! Girl, you look fabulous! And I'm pretty sure I need a cookie now. These boys are just so adorable & you lady, are super cute! fun pictures! your boys are darling! This is a great inspiring article.I am pretty much pleased with your good work. Medical Privacy Screen You put really helpful information. Keep it up. a week or so in iPhotos & some truths. iPhotos! because imma get better.